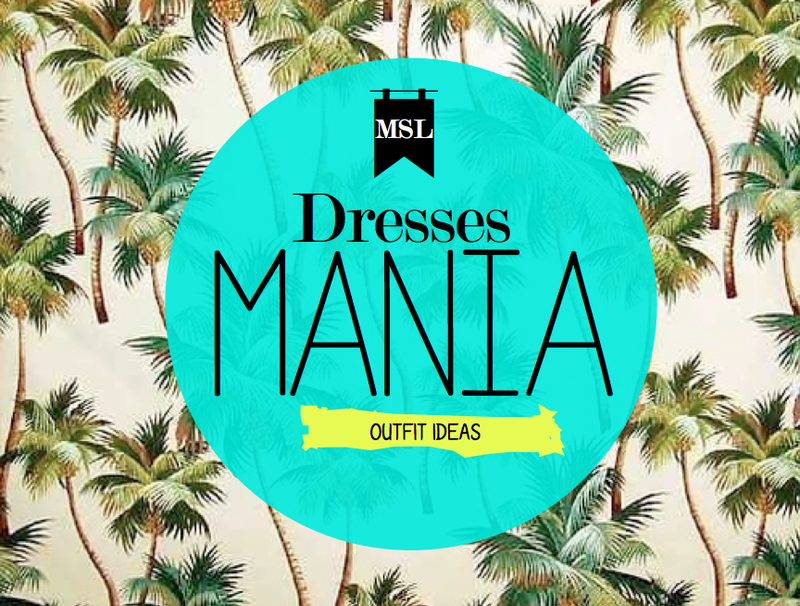 Dresses Mania | Outfit ideas. Hello everyone!! i was missing writing to you already, it's been 5 days since i posted something so i wanted to make this post different. I was (as always) hunting fashion online and found myself very into the ''dresses'' section of the site, which gave me the bright idea to elaborate outfits giving you some ideas of how we could pair different types of dresses, from the shoes to the accessories. I love this kind of post so i really hope you like it as well. I made 4 different outfits therefore 4 different styles, i personally LOVE and adore number four, tell me which one you'd rock out and which one is your favorite. Love for all!! Hola a todos!! me estaba haciendo falta escribirles, han pasado 4 días desde la ultima vez que publiqué algo, así que en esta ocasión quería hacerlo diferente. Estaba hace un rato (como de costumbre) ''Fashion Hunting'' en linea y me encontré navegando bastante en la sección de los vestidos por alguna razón, lo cual me dió la brillante idea de elaborar ''outfits'' dándoles ciertas ideas de como combinar diferentes tipos de vestidos, desde los zapatos a los accesorios. A mi me encantan este tipo de publicaciones espero que a ustedes por igual. Creé 4 outfits diferentes por lo tanto 4 estilos diferentes, yo personalmente AMO y adoro el número cuatro, díganme cual de estos usarían y cual es su favorito. Un beso enorme a todos. I like numbr 1 and 3 verry cute! I'm in love with the second look! Number 3 is so gorgeous! me quedo con el segundo, perfecto para una cenita o alguna otra ocasión un poco más especial! The third look is definitely my favourite! Love your selection! That first dress is absolutely gorgeous! El 2 y el 3 mis favoritossssss !! Estas combinaciones que has elaborado me han parecido muy buenas. A mí particularmente me ha gustado bastante el número 3! My fave is outfit idea #2!! So classy. Love number 2, so girly and chic! The sandals are beautiful! Gracias por pasarte por mi blog y seguirme guapa. El estilo 3 me encanta! Tu blog en general es tremendo. qué cuatro looks más bonitos, me gusta mucho el último! Thanks so much for joining my followers! I hope you stop by someday again. I'm in love with all the dresses ! really love eh black and white dress! El 3º look que nos has presentado me encanta, va más con mi estilo. Me encanta el 3º!! Es precioso, pero todos están genial! I followed you back! Do you mind following my facebook page too? That black and red dress... I need it in my life!!! El número dos es ideal, pero todos en general son bellísimos! wow, i love your selection, can't pick a favorite! Vould you like to follow eachother on GFC and bloglovin? Let me know, then I'll do the same back! Beautiful outfits! Great blog you have! Love the red one! So stylish! Thanks for following my blog! Your blog is adorable!! And I follow you on gfc now! Following you now :). !! I would wear outfit #2 and THOSE SHOES!! in a heartbeat! M encantan por igual el look 2 y el look 4, genial post. Ooooooh I love the dresses, they are gorgeous!! Great blog, I'm a new follower!! would you like to come and see my blog ? Mandy! Thank you for following us and your comment - you gave me the opportunity to get to know your blog and I just love it! I'm following you too now. thanks alot for your comment! stunning outfits! I absolutely love every one of your outfit ideas, you have excellent taste, in an ideal world, I would love to wear each look! Bonitos outfits, no sabriamos con cual quedarnos, seguramente dependiendo de las ocasiones. I love the third dress! El 2 me parece excelente!! Such great outfit ideas! Thanks for the inspiration! Hi, Dear! Love your blog! It's great! Hi, thanks for dropping by my blog ..
Hey you have a lovely blog! Thanks for following mine, i'll follow you back on gfc! Beautiful ideas! :) Love your blog so cute! Want to follow each other on GFC? If so, follow me and then I will follow you! Me fascina lo bien hecho que esta tu blog, te sigo seguro. Y me encanta la combinación 1, aunque la 4 también tiene lo suyo. Thanks for following my blog. I've now followed you back #977.